Before we get into the legal stuff please take a look at the history of the Chartered Institute of Legal Executive Lawyers. The Founder and MD of the Company is one! 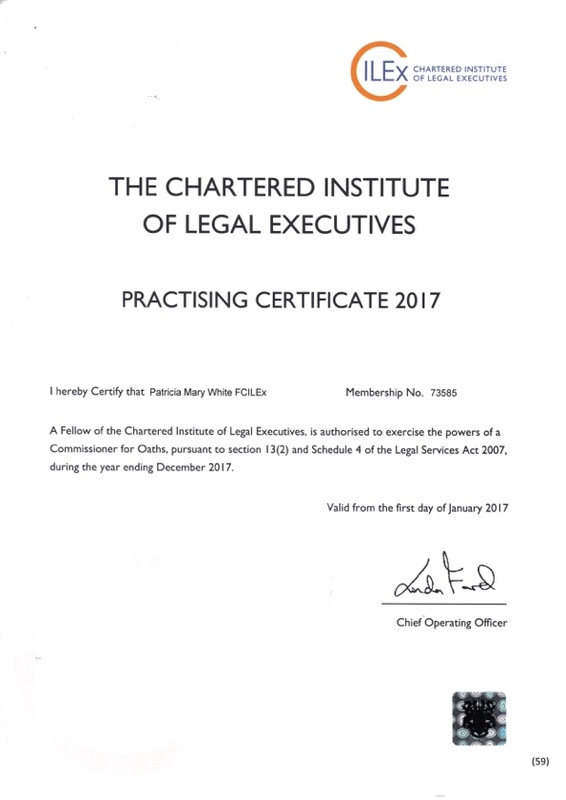 The history of the Chartered Institute of Legal Executives can be traced back to the 19th century. Their predecessors were Managing Clerks, who were founded in 1892. Those who enjoy reading literature from the Victorian and Edwardian era will come across this term, no doubt. In particular Charles Dickens was a Solicitor’s Clerk. CILEx Law School is responsible for training thousands of todays new breed of Lawyers. CILEx Regulation is responsible for the regulation of Members and Entities which are law firms (not just CILEx Members) who practice reserved legal activities such as this firm. The examinations taken by CILEx Members are on par with the Bar and Law Society and, like Barristers and Solicitors, Chartered Legal Executives are independently regulated. There are various grades of CILEx. Continuing Professional Development is mandatory once examinations have been completed. Without compliance of the requirements for meeting the strict codes of conduct and completion of CPD the Practising Certificate is not issued (see picture). The emphasis of the training undertaken by CILEx members is on practical based skills, gaining experience working in the legal practice, whilst studying for academic degree level qualifications. Due to changes brought about by the Legal Services Act 2007 there is now very little distinction between a Solicitor and a Chartered Legal Executive Lawyer. In fact Chartered Legal Executive Lawyers are similar to American Lawyers, in that they provide the day to day Lawyer advisory services and also deal with Trials and attend Court. This is why this firm is offering the seamless service, that is not offered by a traditional English law firm. CILEx Lawyers can become Partners, Judges and Advocates. Many are starting to go on to secure independent practice rights through further study and exams. Ultimately setting up their own regulated law firm just as this company has. CILEx motto is translated to “Advancement through Knowledge”. It has a Coat of Arms which is a wavy blue Chevron on the shield alluding to the river bend – in Celtic Cembes from which Kemp in the name Kempston is derived which is the home of the Headquarters for CILEx. The swords of Justice are inflamed in allusion to the torch of knowledge, the furtherance of both justice and knowledge being inherent in the principles of the Institute. The sword of Justice is shown in the crest which includes two branches of holly CILEx AQUIFOLIUM an allusion to the abbreviation of the Institute’s official title. The Motto and Coat of Arms represent the aims for both the present and the future.